I never got around to seeing Grindhouse, despite how heartily recommended it...one of these days. 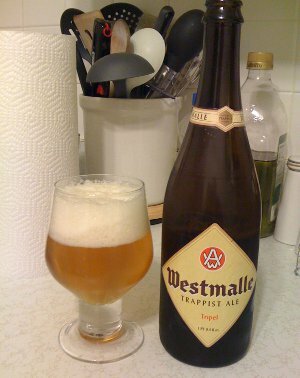 And I've eyed the Westmalle many times, but never got around to trying it...Ihad no idea they invented the Dubbel and Trippel...I will add it to my queue! Grindhouse is certainly not for everyone. If you're a horror fanatic like myself, it's great. But a lot of people found it too indulgent (particularly the dialogue heavy first half of Tarantino's Death Proof) or needlessly gory. I love it though. This page contains a single entry by Mark published on October 31, 2010 2:26 PM. Boxcar Original Ale was the previous entry in this blog. 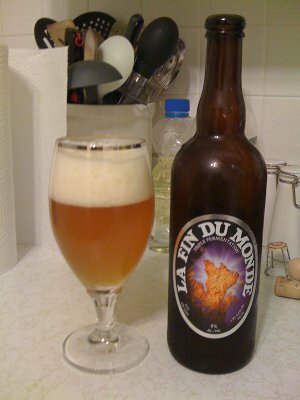 The Session: Wheat Beers is the next entry in this blog.